Most have heard of Honest Tea and while trying to go healthier, I reach for Honest pretty often. They are the #1 selling Organic Tea in the U.S. 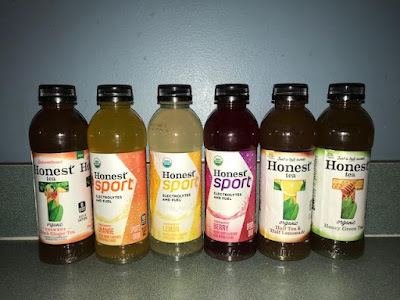 I've also seen their Honest Kids, but I didn't know about Honest Sport, so I was happy to try some of each of their varieties (I received more than what is shown, but they were multiples of the same flavors. 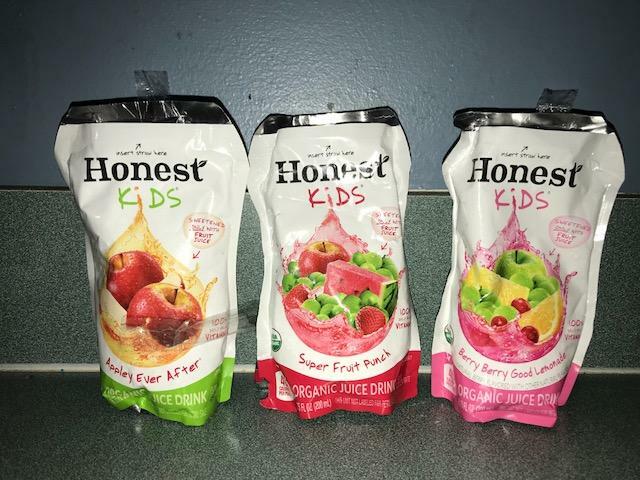 I absolutely love Honest for their teas and my kids (and I) enjoy the kids because they are only sweetened with fruit juice. If your children are used to sugary drinks, they may not like these as much, but my kids enjoy them. They're mostly like flavored water, not super sweet but more fun than plain water. But I loved being able to try out the Sport, these are great for after working out, or when you just want some electrolytes! They are awesome and they taste awesome as well! And I liked the Half Tea/Half Lemonade (I've never tried that one before I received this). I love Honest Teas Mission and love their products and quality! I love Honest Tea. My favorite is Organic Unsweet Lemon Tea. I love tea and I have tried Honest Tea and it tastes so good. I really like the flavors and prefer tea over coffee! They have so many great flavor options and I really like that they have some for kids too. I love all of their products. They are delicious!